There are people who simply love autumn, can’t wait to put on their coats and jump through the fallen leaves on the ground. And there are people who get terribly blue as fall is arriving. 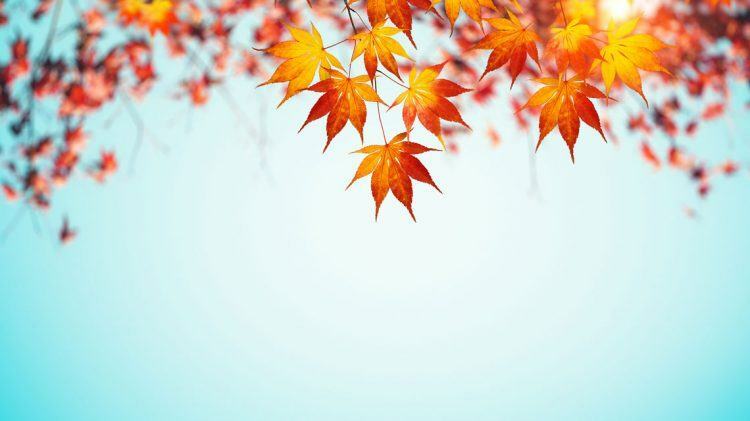 Whether you belong to the first category or the latter, we compiled a playlist with autumnal tracks for you that will make the change of seasons as smooth as possible. In this song, British multi-instrumentalist Patrick Wolf sings about the change of seasons – from summer to fall – as a metaphor about relationships coming to an end. If Bon Iver’s debut album “For Emma, Forever Ago” is the unofficial fall soundtrack (and it definitely is), then its opener “Flume” must be the unofficial hymn of the season. The artist recorded the album in autumn and winter while living isolated in a cabin in Wisconsin, which might be the reason for its autumn-y folk sounds. Dramatic flutes, folk-y guitars and howl-like singing instantly transport you into an autumn forest. Listen to this song while walking through an actual forest for double the effect! The melancholic arrangement of the track in combination with the deep, philosophical lyrics will make you ponder. Maybe use the change of season for a change of thought? As the days get shorter in fall, you will want to stay in more often. This song is an ode to the cosiness of being home and the sweet joy of coming home to your loved ones. This chart breaker is a folk-y rock song with very personal, dark lyrics. It’s about coming to terms with your weaknesses. Be patient with yourself, because as the seasons change, so will the perception of your flaws! José González’ cover of the famous The Knife song is as much a love song as the original, yet his interpretation has a more calm and soothing feeling about it. Perfect for cosy autumn evenings. When it’s raining nearly every day and the sky is constantly grey, it is difficult to not let the autumn weather get you down. This song is about the struggle to stay positive and inspired, so let it inspire you. This track is about a great love that even goes beyond death. It has the same melancholic, yet beautifully optimistic feeling about it, as does the change from summer to fall. Caught between two seasons is like being caught between two emotions. Erlend Øye actually sings about the latter in “Burning”, but lyrics are always up for interpretation, aren’t they? Waxahatchee front woman Katie Crutchfield always channels her rural upbringing in Alabama in her music, creating a sound that makes you feel like you’re lost between forests and creeks – in a good way. Unrequited love is even harder to bear in autumn. While summer presents you with unlimited possibilities to get your mind off your crush, there’s not much to do in fall. May this track by Angel Olsen help you get through it. London indie folk band Daughter portraits the problems of modern love in this tender, honest and powerful song. Listening to “Youth” in repeat for hours is absolutely advised! Warpaint’s “Whiteout” is a passionate experimental rock song that will transport you into a trance, if you let it. Try to escape the cold autumn weather by getting lost in this tune. Autumn coming means summer is breaking up with us. This track is about personal and creative breakups, but the lyrics will definitely console you as you bid farewell to summer.